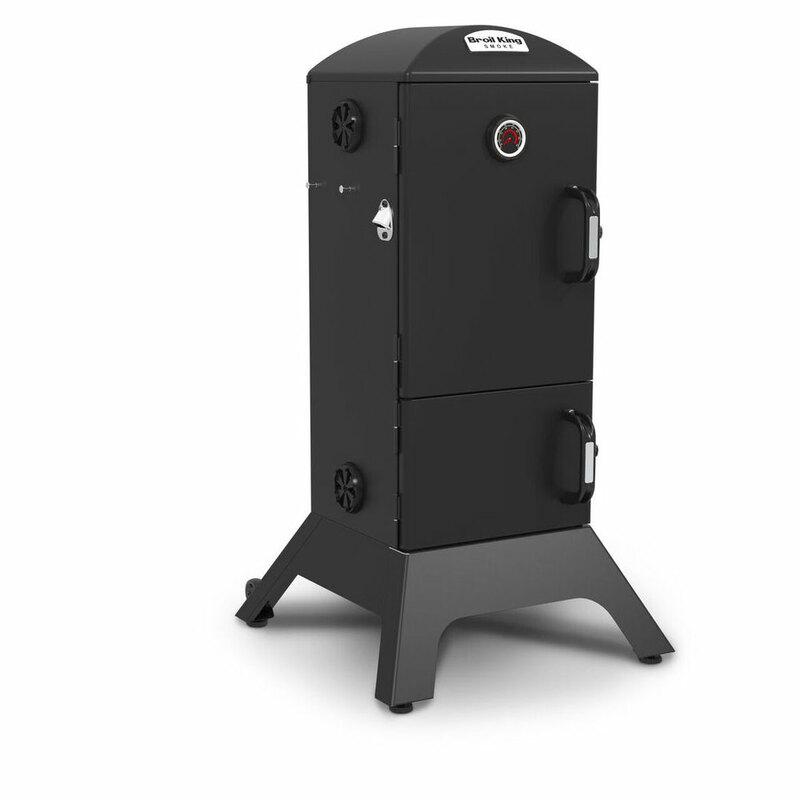 Broil King® proudly introduces the charcoal vertical smoker. 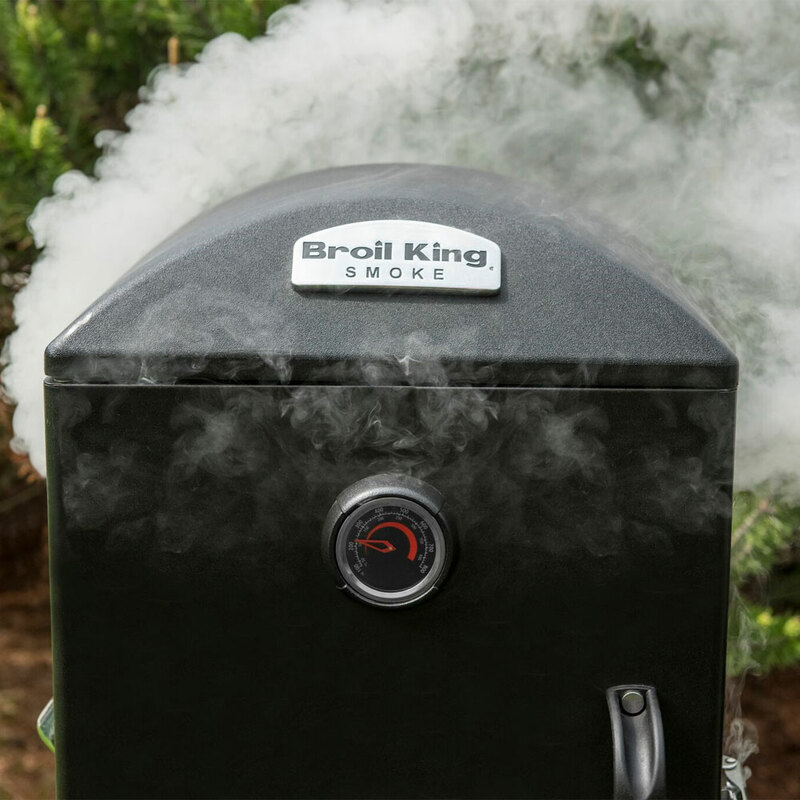 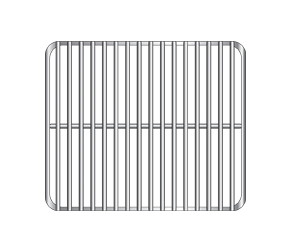 Broil King® Smoke cabinet smokers are engineered to create mouth-watering, authentic Smoke flavour. 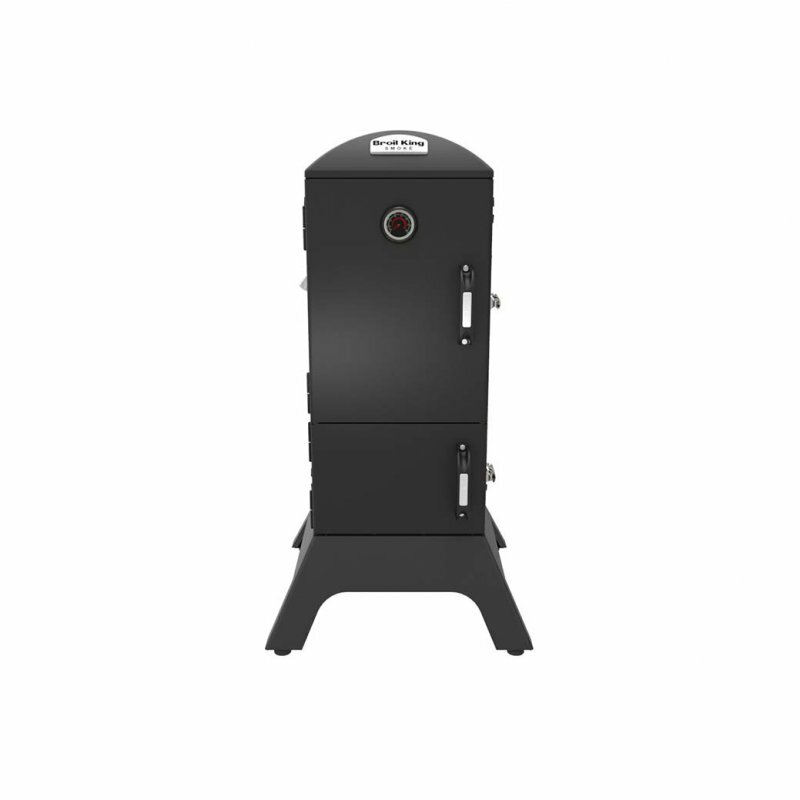 Every detail is evident throughout these smokers. 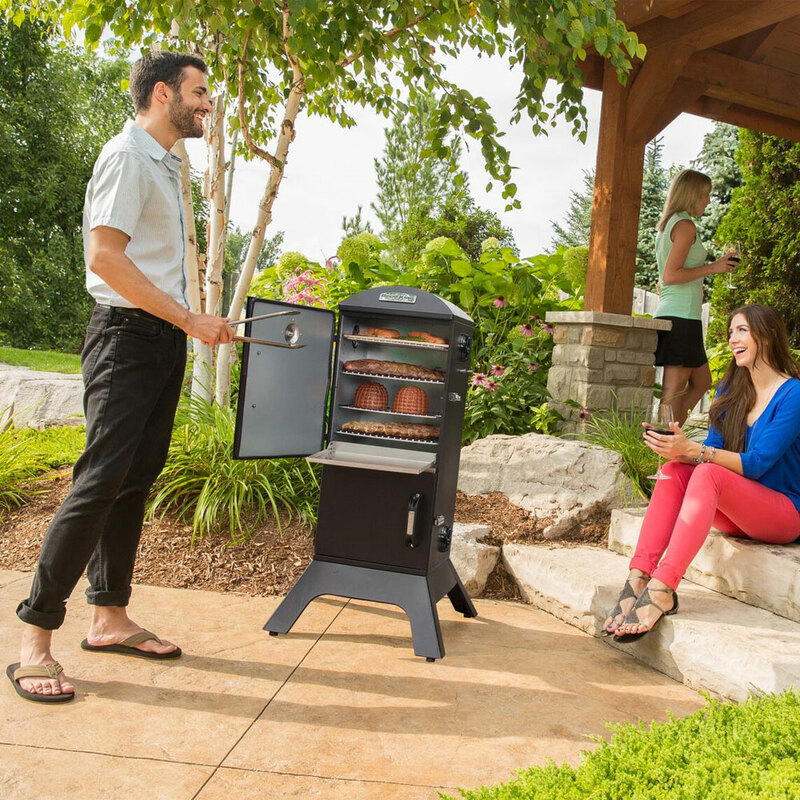 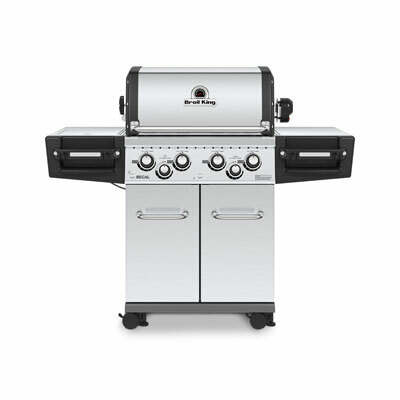 From durable construction and stylish accents to exceptional cooking versatility, Broil King® brings people together. 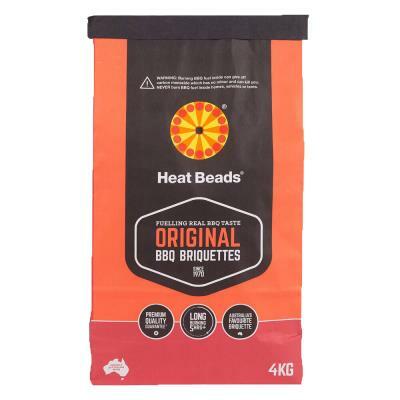 Great food, great flavour, great barbecues every time. 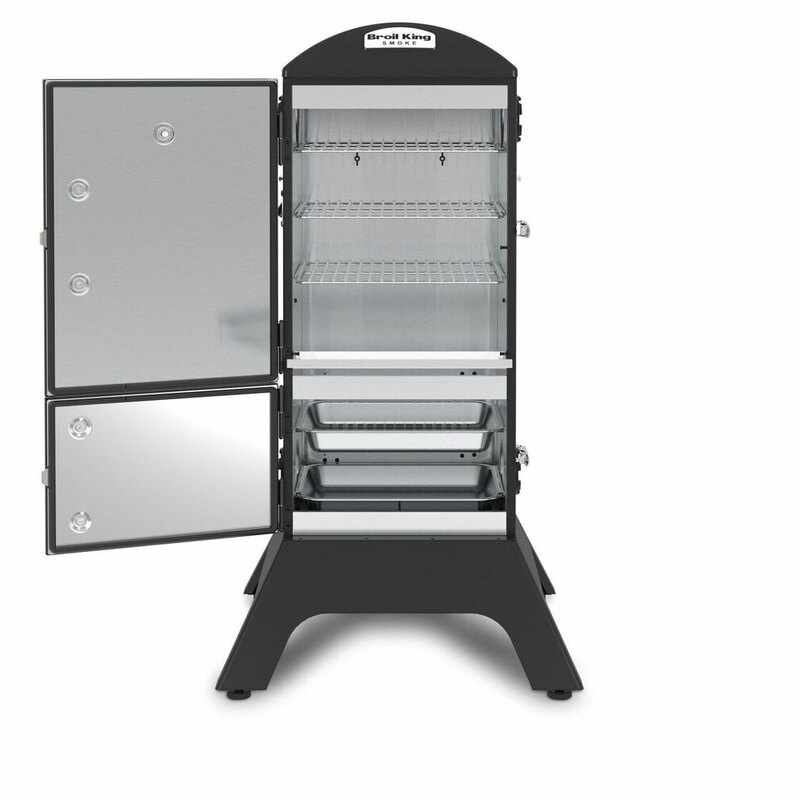 The double-walled steel construction smoker has an adjustable multi-purpose rib/roast rack along with extra large stainless steel water bowl and smoker tray, 16 integrated meat hooks with 4 sturdy tool hooks so plenty of places to hang and place meat, poultry and fish. 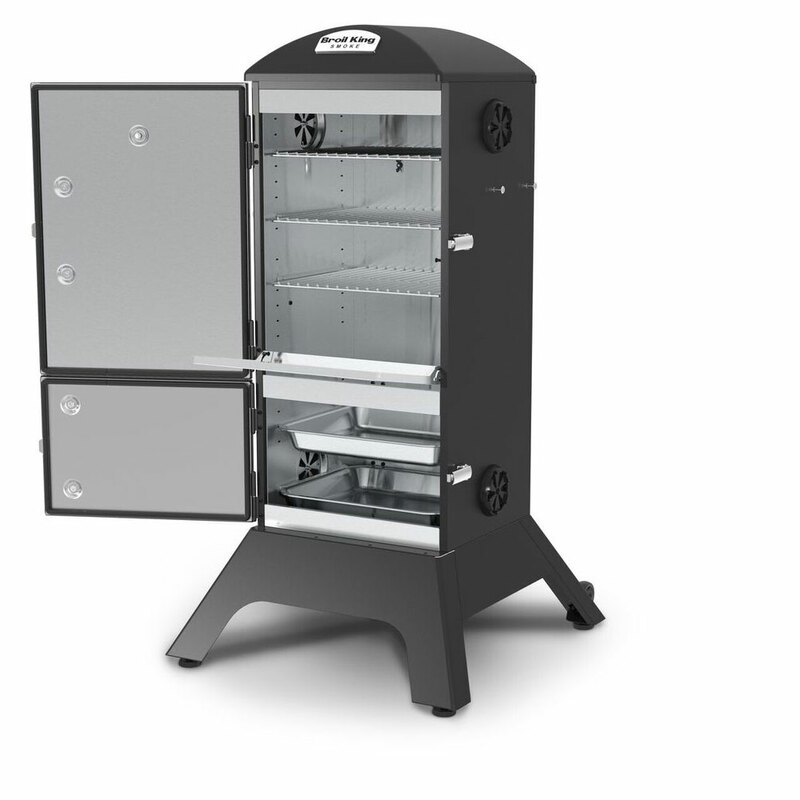 Adjustable Roto-Draft cast aluminium damper system with chrome coating and door mounted Accu-Temp thermometer for easy temperature control. 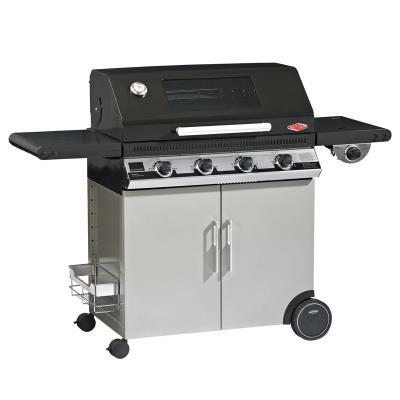 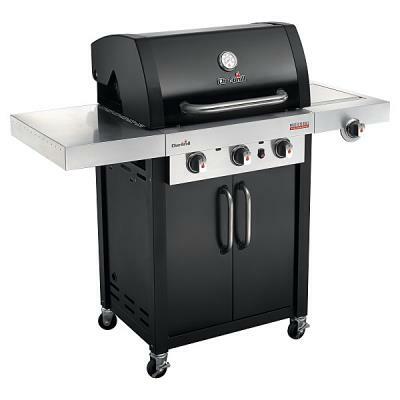 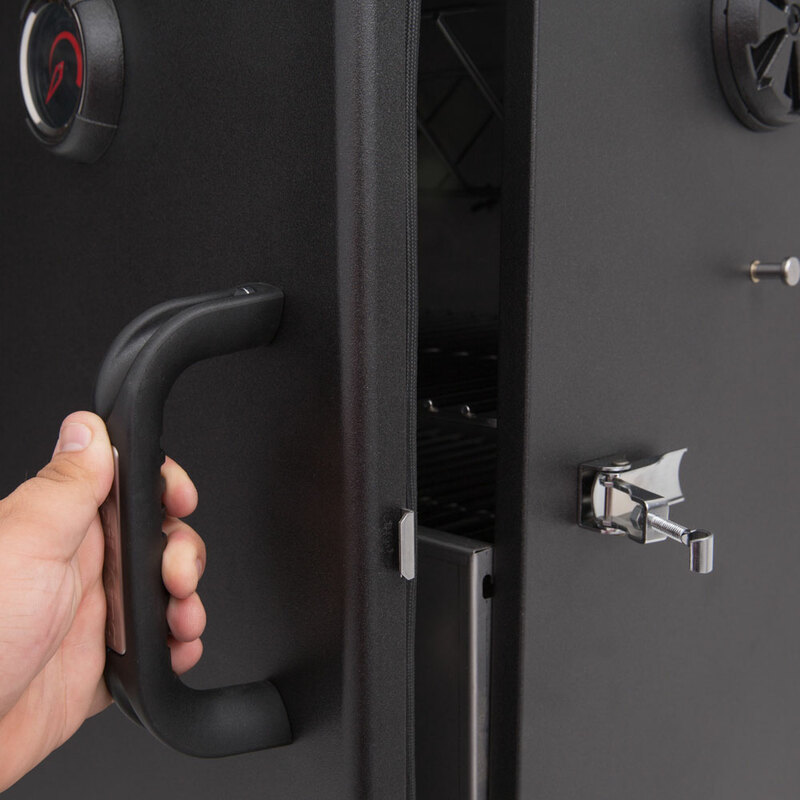 The smoker also has a convenient bottle opener, 3 heavy-duty door handles on 2 rugged steel doors with silicone gasket and premium latch system. 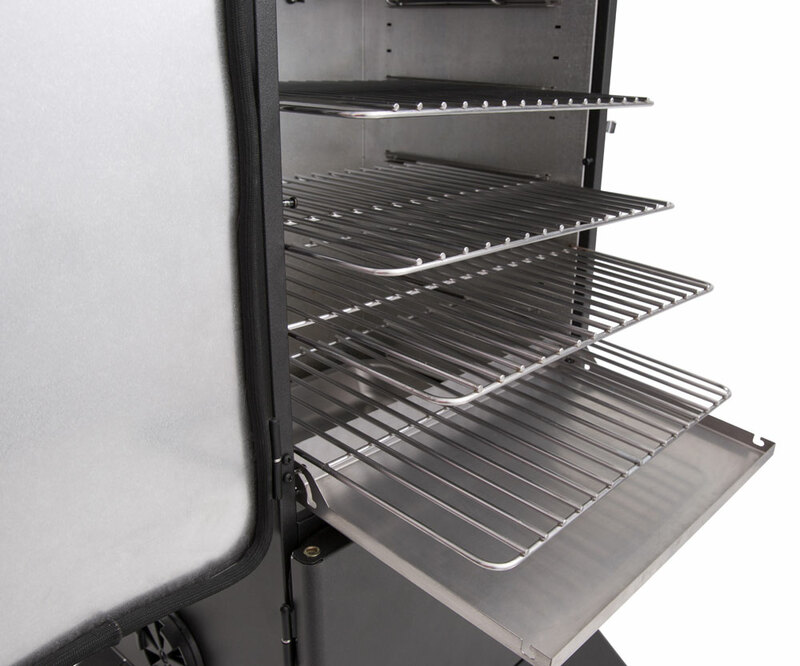 The heavy-duty charcoal tray provides more than enough space for you fuel. 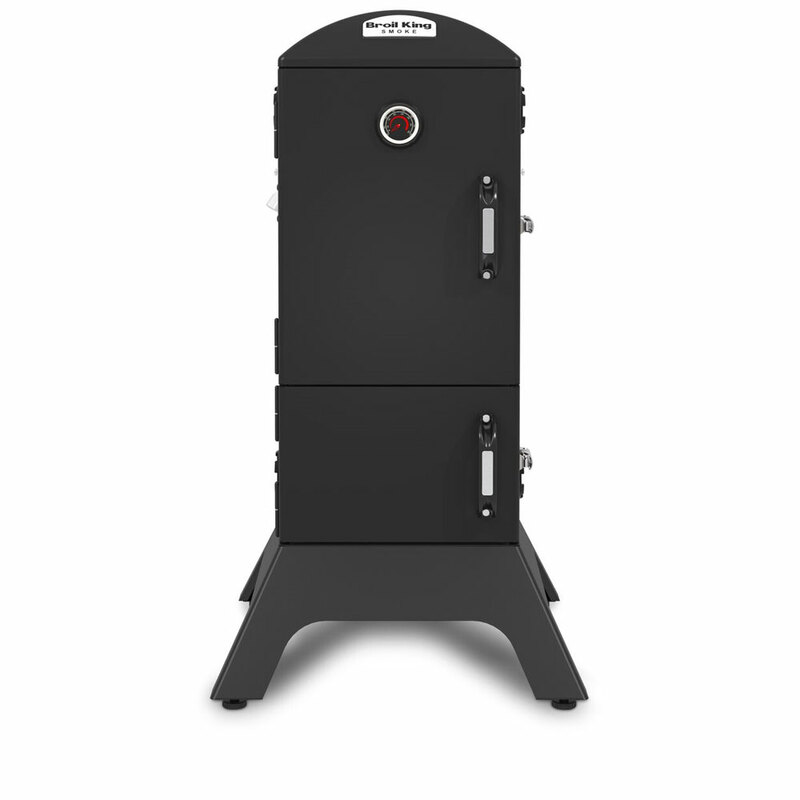 To keep things on the level the smoker has 2 front levelling feet with 2 rear easy-move wheels.